Letter collections in late antiquity give witness to the flourishing of letter-writing, with the development of the mostly formulaic exchanges between elites of the Graeco-Roman world to a more wide-ranging correspondence by bishops and monks, as well as emperors and Gothic kings. The contributors to this volume study individual collections from the first to sixth centuries CE, ranging from the Pauline and Deutero-Pauline letters through monastic letters from Egypt, bishops' letter collections and early papal collections compiled for various purposes. 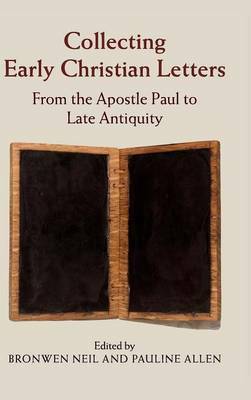 This is the first multi-authored study of New Testament and late antique letter collections, crossing the traditional divide between these disciplines by focusing on Latin, Greek, Coptic and Syriac epistolary sources. It draws together leading scholars in the field of late antique epistolography from Australasia, Sweden, the United Kingdom and the United States.